Okada and Omega redefine pro-wrestling... AGAIN. For the second consecutive year, New Japan Pro Wrestling's Dominion pay-per-view rivaled the seemingly impossibly high standards set at January's Wrestle Kingdom event, delivering a perfectly paced night of action that'll take top billing on many a 'Show Of The Year' ballot. 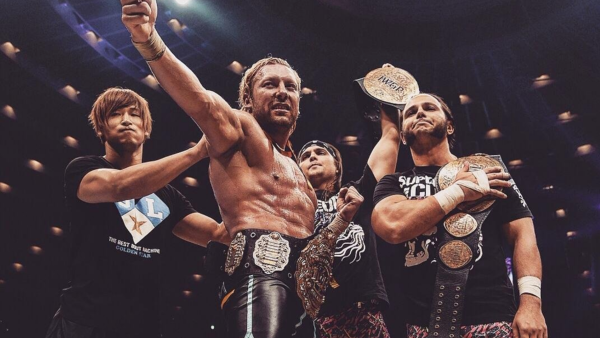 Highlighted by IWGP Heavyweight Champion Kazuchika Okada and Kenny Omega's fourth singles match, Dominion 6.9 was sensational, and its talking points are legion. The main event wasn't just a cathartic moment for 'The Cleaner,' but the spectacular culmination of three major New Japan storylines. Chris Jericho, the vile foreign invader, destroyed Intercontinental Champion Tetsuya Naito. Rey Mysterio finally debuted. Hiromu Takahashi delivered another blitzkrieg performance just days after his starring Best of the Super Juniors turn. The list goes on. The stories were on point, and NJPW feels fresher than ever after Dominion, but what about individual match quality? For reference, **1/2 should be considered mediocre. Anything lower is bad, ***+ is good, ****+ is great, and ***** represents one of the greatest matches of all time. Criteria can include, but isn't restricted to, in-ring work, heat, psychology, and storytelling.